Find a quiet place where you will be able to perform the rite undisturbed. You will need a candle (or another form of devotional fire, such as a lamp or hearth fire) and something with which to light it. 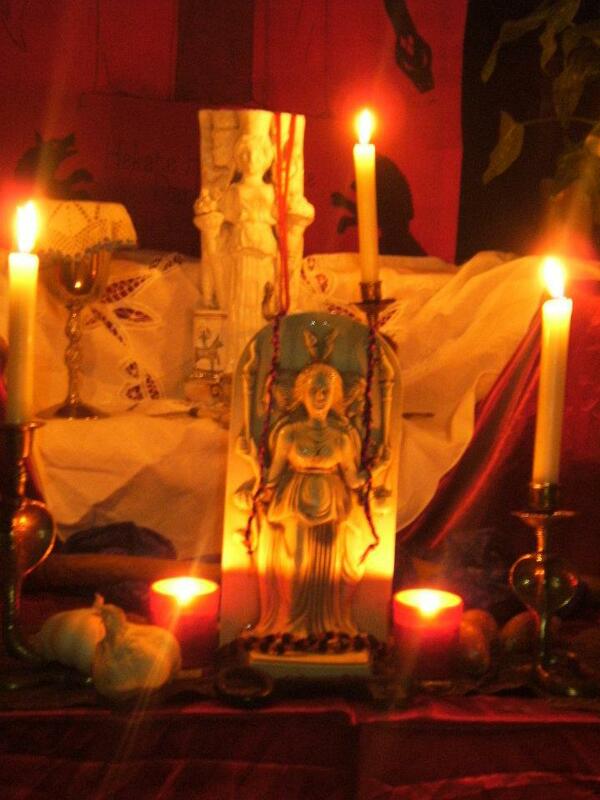 You may wish to consecrate the candle, or other materials you will be using in keeping with your usual tradition of working, otherwise please simply ensure that it is clean. Now sit and watch the flame flicker and dance, allow yourself to focus on the different colours in the flame, the yellows and reds, the blues and whites, and the black. 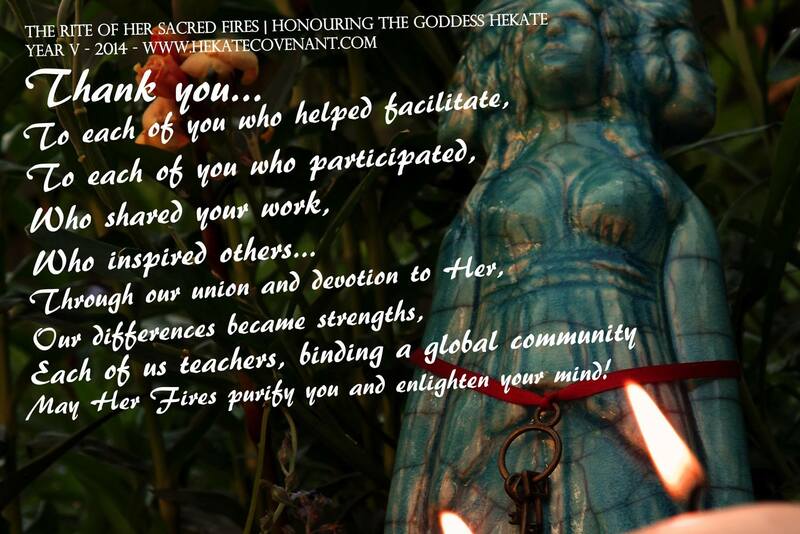 If you wish you may decide to spend some time meditating on the flame, skrying for visions or omens. 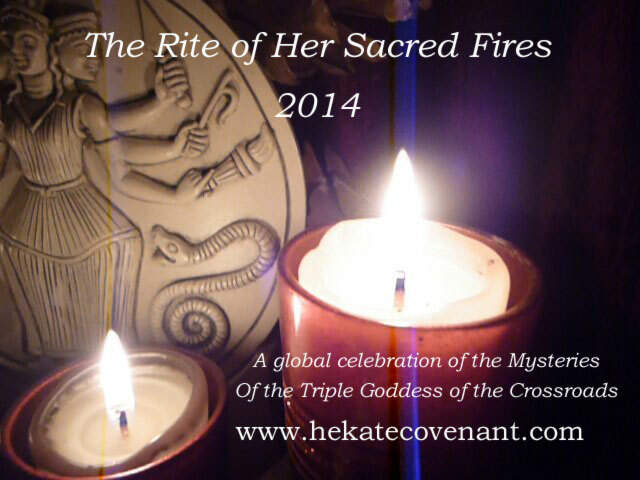 Likewise, you may wish to extinguish it and keep the candle – let your true self radiate brightly its beautiful mysteries from this day on forth, the flame of the fires of Hekate burns on in your heart! This ritual was written in celebration of the completion of the book Hekate Her Sacred Fires and as an act of Devotion to the Goddess Hekate. Permission is given for the adaptation of this ritual for personal and group use. The ritual is designed to be performed as is, but can also be incorporated into longer rituals, and is compatible with most magical traditions. Whoever performs this rite takes personal responsibility for the results (or lack of results!) thereof, the author cannot be held responsible for any undesired effects. This ritual may be reproduced freely for non-commercial purposes in any format electronic or printed, providing that this original notice remain intact.